There's nothing like the holidays to bring out everyone's inner Martha Stewart. Maybe that's why Christmas weddings have such a distinctive look, even though they're each very different. 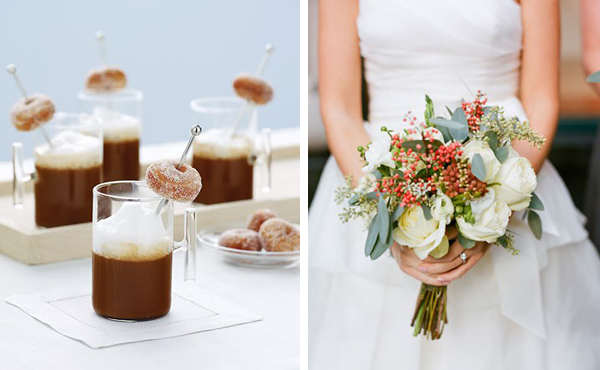 For this week's wrap up, we toured the web for great examples of the Christmas wedding aesthetic. 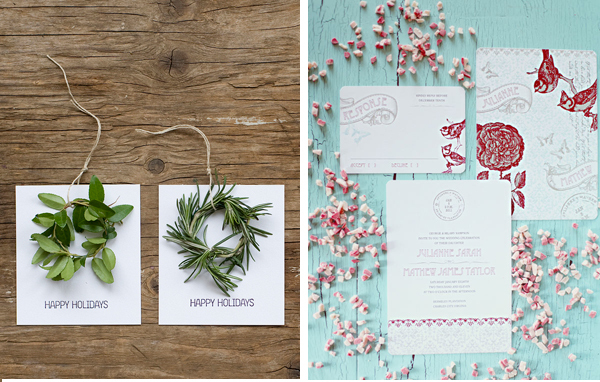 First up from The Perfect Palette, this Christmas wedding inspiration board. Christmas in Tahoe? OK! It's no big surprise that these inspiring images come from Tahoe Unveiled. 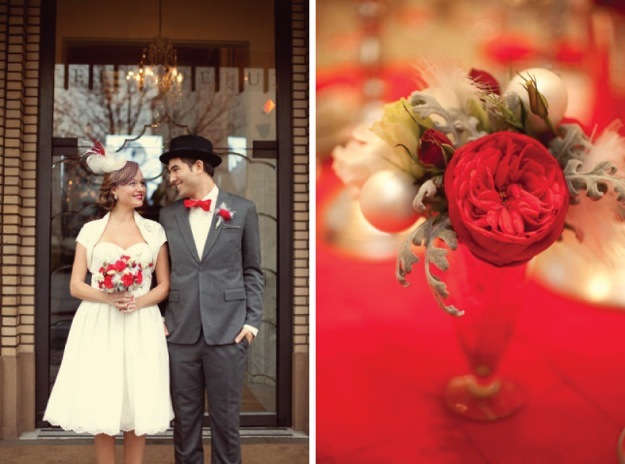 Finally, I love this vintage Christmas wedding from Belle the Magazine. Full of good cheer indeed!